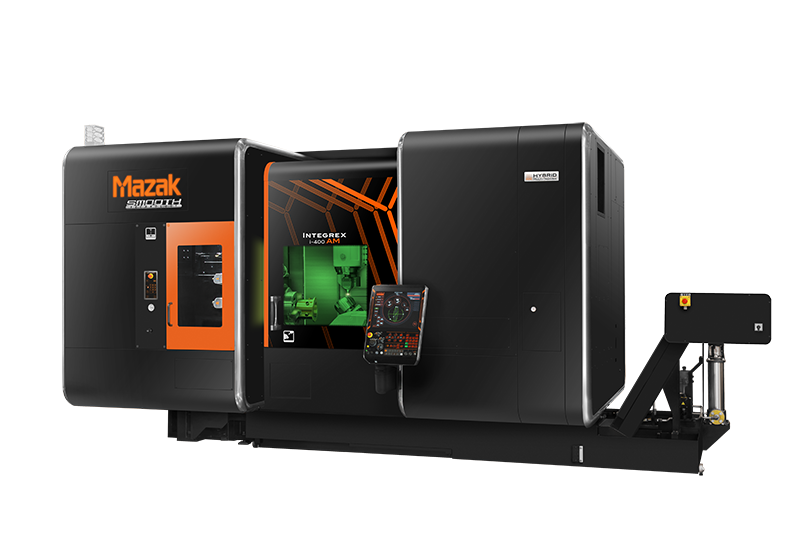 Yamazaki Mazak is placing its new SMOOTH Technology CNC ‘family’ at the heart of an unprecedented new product launch schedule at EMO 2015. The Mazak stand will include two new additions to the SMOOTH CNC family, along with a supporting cast of 18 new machines making their world debuts. In total Mazak will exhibit 22 machines at EMO 2015, all of them performing live cutting demonstrations for the duration of the show. The Mazak theme for EMO 2015, “It’s all about you”, is further demonstration of the company’s continued commitment to providing innovative machine and CNC solutions, designed to make Mazak users more productive, efficient and competitive. The Mazak stand is separated into seven separate zones, for multi-tasking, 5-axis, turning, vertical machining, horizontal machining, hybrid technology and SMOOTH Technology. The centrepiece of the Mazak stand will be a 3D Theatre featuring three dimensional animated presentations about SMOOTH Technology. 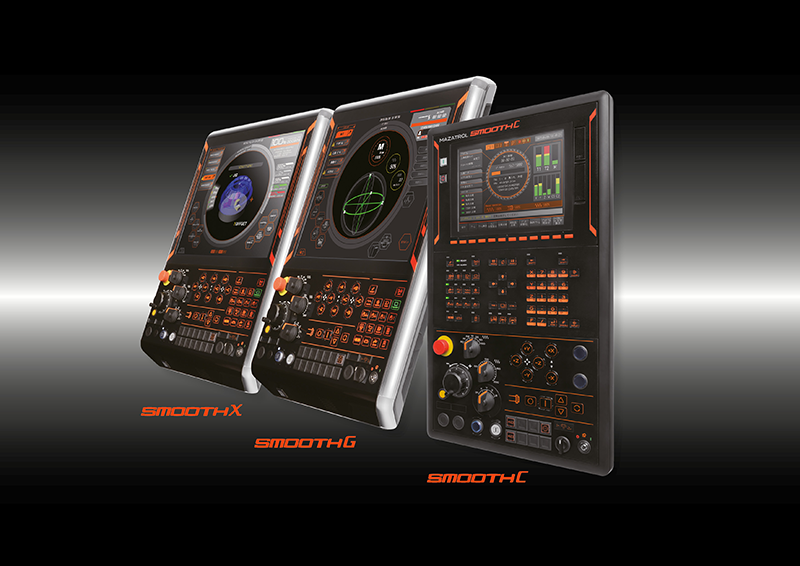 In the SMOOTH Technology Zone itself, SmoothX, the 5-axis control, which was launched earlier in 2015, will be joined by SmoothG, developed specifically for machines with up to 4-axis simultaneous motion control. This includes vertical and horizontal machining centres and performance turning centres, from 2-axis up to MSY capability. The exhibition will also be the launch of SmoothC, which has been specifically developed for entry-level machines, streamlined for simplified operation, retaining the classic MAZATROL interface and conversational programming capability, combined with the performance characteristics of new SMOOTH Technology. In total, the Mazak stand at EMO 2015 will boast 18 machines equipped with SMOOTH Technology, including SmoothX, the world’s fastest CNC. One of the highlights of the show is likely to be the new INTEGREX i-400AM, which stands for additive manufacturing, denoting its ability to generate near net shape components with its additive capability, before finishing them with multi-tasking machining. The INTEGREX i-400AM now also includes capability for full 5-axis machining, enabling complex geometry parts to be produced in a range of materials, including stainless steel, nickel alloys and copper. The machine is equipped with SmoothX control with the management of both additive and subtractive functionality fully integrated into the CNC. In the 5-axis zone one of the highlights will be the new VARIAXIS i-1050T, combining the perfect combination of 5-axis machining with full turning capability, enabling outstanding cutting performance for large complex workpieces. The i-1050T has a large machining envelope and features a gantry box design with a fully cast structure, to ensure maximum stability and accuracy. Performance is delivered via a high speed Taper 50 spindle capable of 10,000rpm and 37kW (40% ED) and a powerful 500rpm 37kW turning table. The VARIAXIS i-1050T is equipped with SmoothX control. The Turning Zone will feature the QUICK TURN 250 MSY, a high performance turning centre with integrated milling, second spindle and Y-axis configuration, capable of completing a wide variety of machining operations. The 250 MSY incorporates SmoothG control. Alongside will be the new QT COMPACT 300 MY, a new global design, to be manufactured in both Japan and Europe. The machine is a compact and cost-effective option, offering milling and Y-axis capability. The QT COMPACT is equipped with SmoothC Control. The Turning Zone will also feature the MEGA TURN 500M S, a vertical turning centre with machining capability and a compact footprint, capable of outstanding productivity with its high-power integrated turning spindle. The MEGA TURN at EMO is equipped with SmoothC control for enhanced productivity and a number of automation solutions, including an automatic tool changer, auto side door and a FANUC robot for loading. The highlight of the Vertical Machining Zone will be the new VTC-760C, the next generation of the highly popular VTC 300C II series, which is making its world debut. The machine features a new base structure and the use of a roller linear way system for enhanced rigidity, axis performance and accuracy. The VTC-760C is equipped with SmoothG control. Alongside, in the Vertical Machining Zone, will be the VTC 800/30 SLR, incorporating a large rotary table capability for 5-axis machining of workpieces up to 1.5m in diameter. The VTC 800/30 SLR is equipped with Siemens Sinumerik 840D sl control for Mazak users that have standardised on Siemens control in their manufacturing operations. In the Horizontal Zone the stand-out machine is likely to be a world debut for the HORIZONTAL CENTER 5000/50, a high performance machine equipped with a 10,000rpm 50 taper spindle. Specifically, the machine is equipped with a high-speed tool change and boasts a chip-to-chip time of 3.5 seconds, making it ideal for high volume parts operations.